a) Open Able Photo Slide Show by clicking its icon on the Windows Start Menu or double clicking the icon on your desktop . 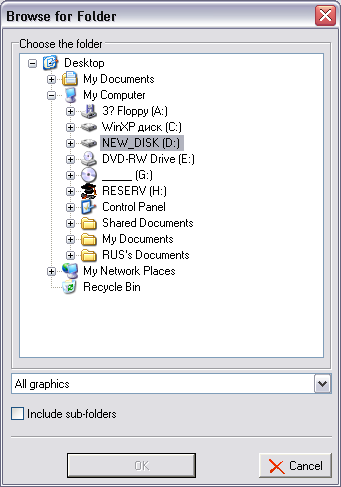 Press Open button and select any folder with graphic file. All the graphic files from this folder will be displayed as slide show. b) Choose a file or a folder in Windows Explorer. Choose menu item "Browse with Able Photo Slide Show". c) Choose a folder in Windows Explorer.